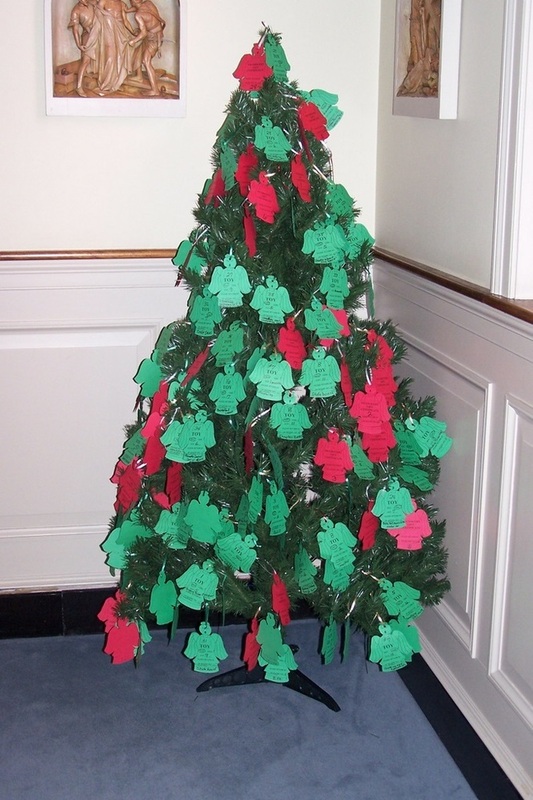 The Advent Angel Tree is an annual project of the parish’s St. Vincent de Paul Society. It is an opportunity to bring the love of Christ to the less fortunate of our community during the Christmas season. During Advent, a tree is placed in the church with angel ornaments. On each angel, a suggested age-appropriate gift item is listed for a girl, boy, teen or adult. Parishioners are invited to take as many angel ornaments as they would like from the tree and to purchase the suggested gift or one similar. The gifts should be returned wrapped with the tag attached. An announcement is contained within the bulletin when all gift items are to be returned to the church for delivery throughout the Leonardtown area. Currently, the parish has been able to assist 50 local families with Christmas gifts.